Sewer blockage can happen anytime and anywhere. It is a common problem in residential and commercial properties and need immediate action to tackle it. 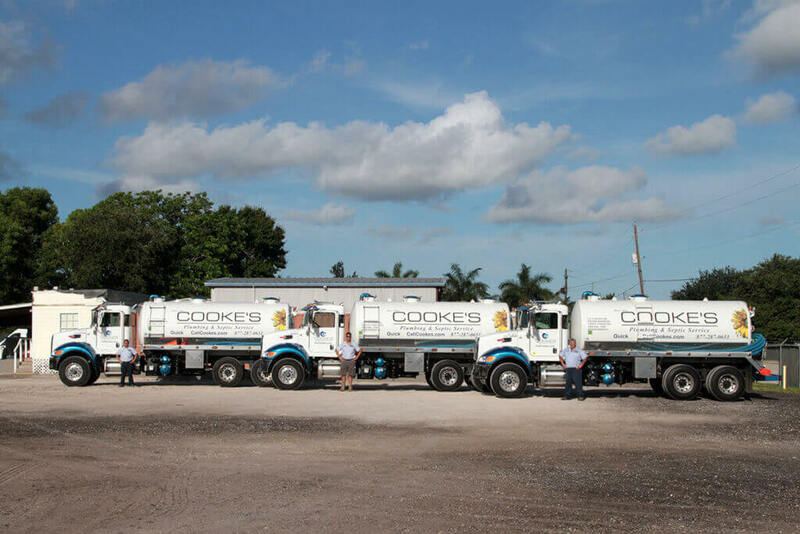 Residents of Stuart and Port St. Lucie, FL can call Cooke’s Plumbing & Septic Services to clear sewer blockages as well as for any other plumbing emergency. Sewers can get blocked for various reasons. Grease in kitchen drains can cause a buildup of dirt in kitchen drain pipes and overtime it may lead to clogged drains. Even food particles and debris thrown down the kitchen drains are often culprits that cause blockage. Corrosion in old pipes and hair buildup in the bathroom drains are major reasons for clogs. Sewer lines also get blocked due to tree roots, which can block all drains inside a property. If the issue is not looked into in time, it can lead to big drain problems. Plumbers at Cooke’s use advance tools to cut tree roots and to clear sewer blockages. At times old tree roots can be so widespread that it can take days to clear big sewers. Some kitchen or bathroom clogs can be handled once in a while using a plunger or chemicals. However, recurring drain clogs can point to a bigger problem inside the pipes and need to be looked at by a professional. Cooke’s Plumbing & Septic Services has been in business since 1958. We handle plumbing problems for residential and commercial properties in and around Stuart and Port St. Lucie. Our plumbers are trained to fix sewer line clogs of any kind. We are equipped with the latest tools to clear sewers and clogs and fix the recurring drain problems. We undertake all problems related to drains and sewers and more such as plumbing repairs and installations, dishwasher maintenance, garbage disposal services, water heater repairs and installations, laundry line installations and so on. Call us for drain and sewer line repair jobs and any kind of plumbing problem in your residential or commercial properties.